Costco’s advertising is one of the primary methods it uses to promote its products and services to its members. The majority of this advertising is done through The Costco Connection magazine which is sent to Costco members on a monthly basis. 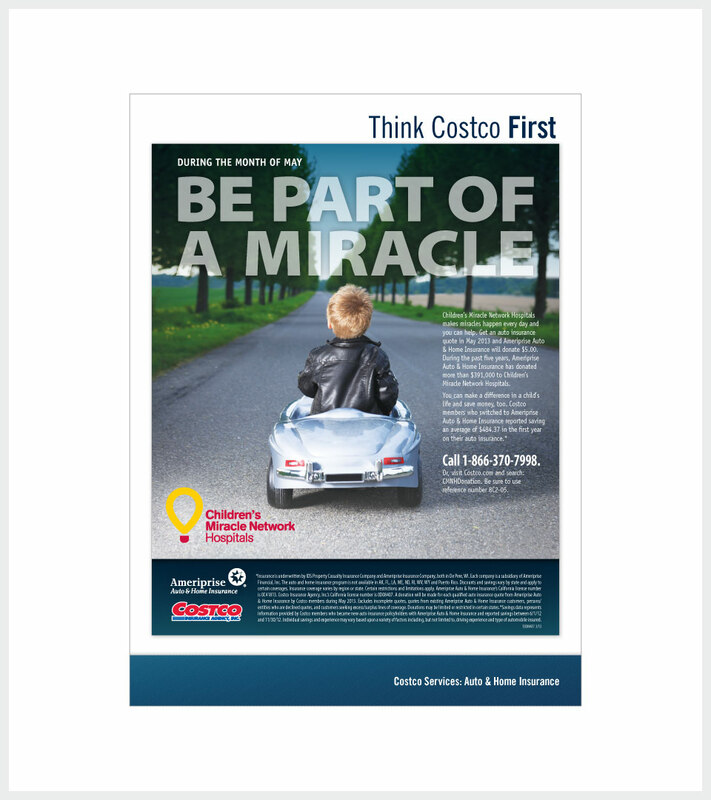 The following examples show a selection of ads that were designed for The Costco Connection in order to communicate the unique benefits of Costco’s product and service offerings. 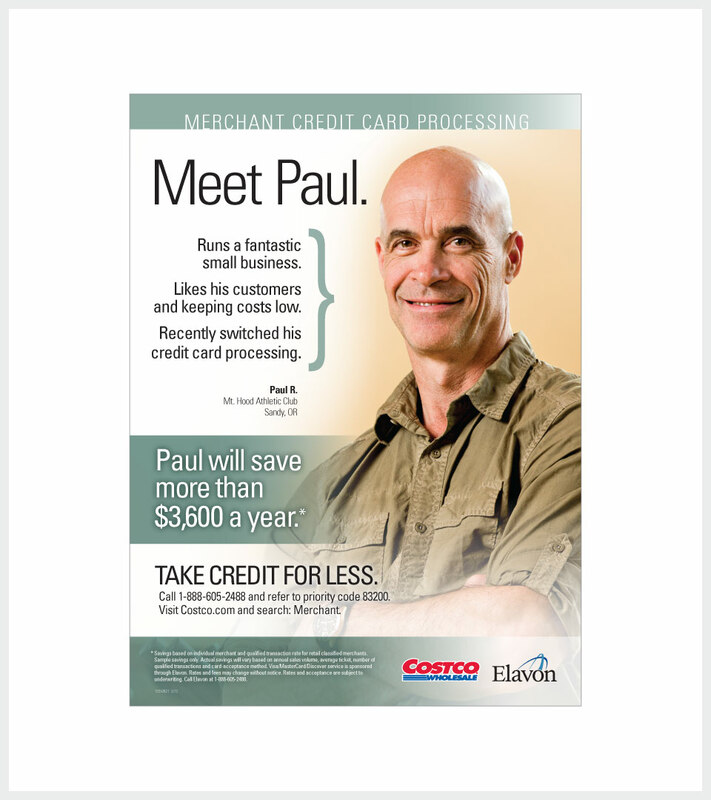 This ad is part of a series which features large photos of actual members that saved money using Costco’s merchant credit card processing service. 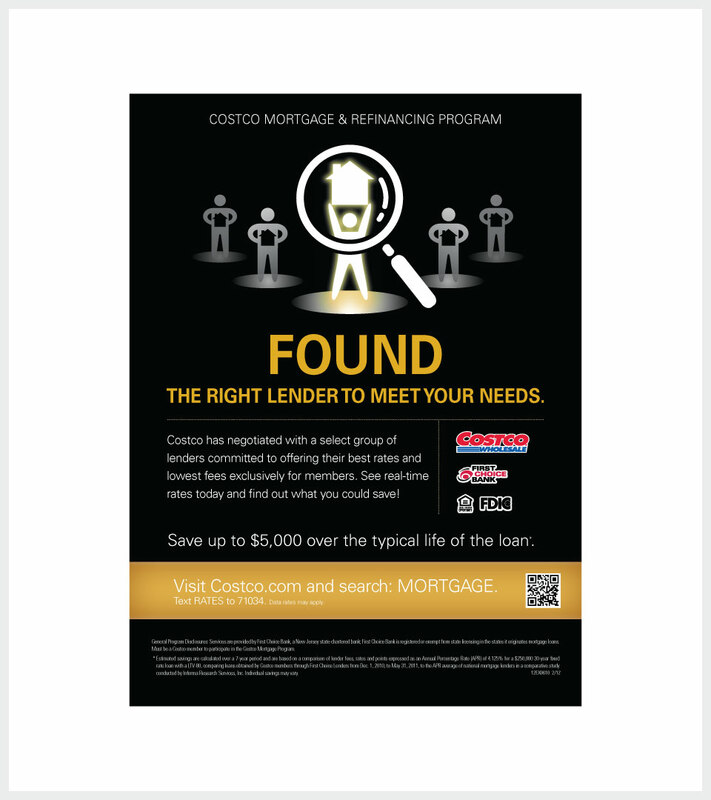 The concept and illustration for this ad communicates the message that Costco, through its partner First Choice, has found the best mortgage lender for its members. This ad uses a photo of a child driving on an open road to communicate the idea that receiving an auto insurance quote helps to give children a bright future with a donation to Children’s Miracle Network Hospitals. 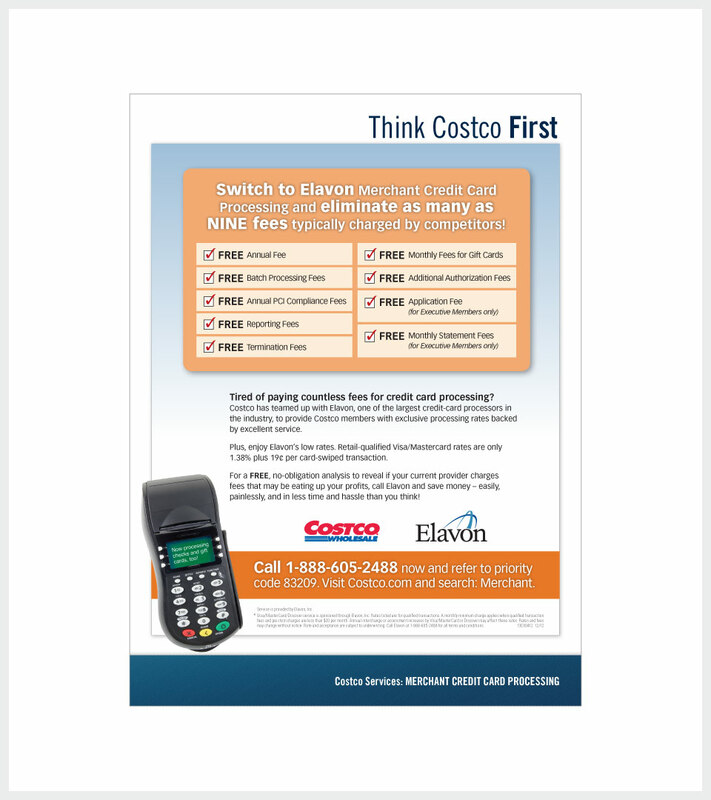 This type-focused ad emphasizes the fact that Costco’s merchant credit card processing service is free of many of the fees charged by competitor credit card processing services. 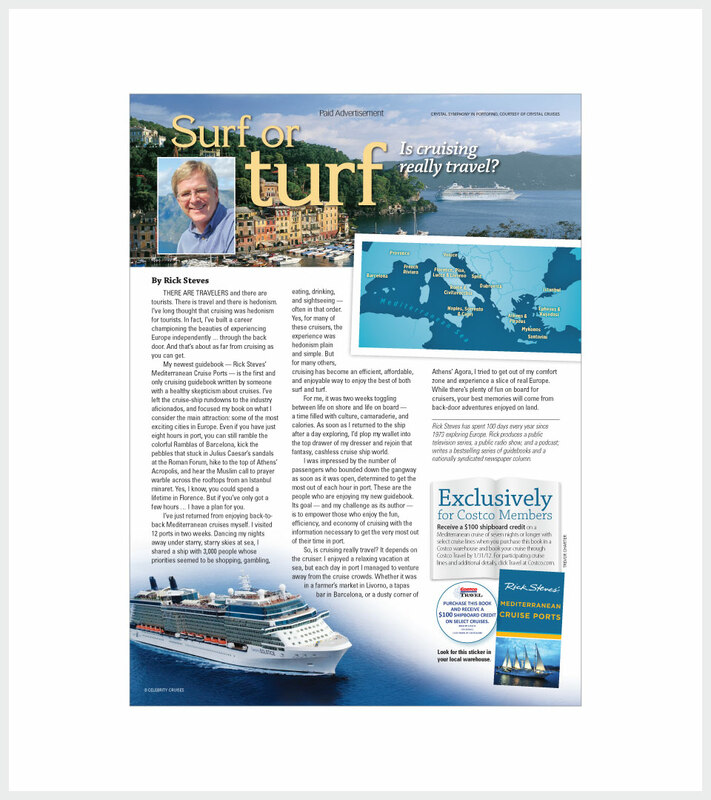 This advertorial for Rick Steves’ Europe was meant to educate readers on cruise ship traveling as well as to promote Rick Steves’ guidebook Mediterranean Cruise Ports.